Our members can enjoy friendly competition throughout the season in an array of golf tournaments. 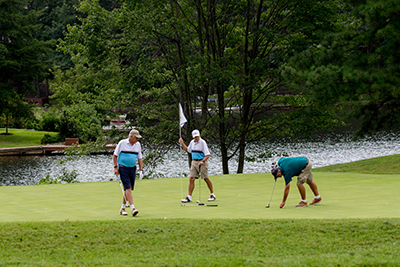 Fawn Lake Country Club offers stroke play and match play events including our popular Premier Member Guest three-day event, Member Member event, President’s Cup, Founder’s Cup, and our most coveted annual Club Championship tournaments. In addition, because of our acclaimed golf course environment, Fawn Lake has been chosen to host many outside golf tournaments such as the Fredericksburg Amateur, the Peggy Kirk Bell Girls Junior Tour and multiple events for the VSGA and MAPGA.